The BOP has been focusing on the History and Shinyo no Maki sections of the kata manual. Members of the BOP are working on final comments to these documents. Quick links to IJF rules and information will be added to the AJJF website for the benefit of all who are interested in starting a judo program at their school. The BOP is putting together a database about the AJJF senior instructors for the purpose of rank promotions for Godan and higher. It is based on the questionnaire that was sent to senior instructors. Most senior instructors completed the survey. 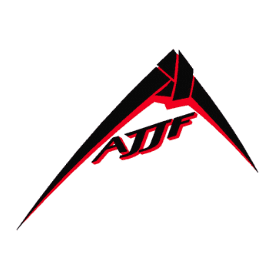 Representatives from several jujitsu and judo organizations will be coming to the AJJF Convention this year. The BOP is considering how it could resume an additional face to face meeting each year. Many important issues are discussed most easily in person. The Executive Committee approved Monica Villanueva as the new BOP Scribe. Nerissa Freeman is stepping down from this role. She started in that position in 2013. The BOP is working on scanning its historical documents for better preservation and access. The BOP is planning on working the AJJF Chair of Marketing on materials that can be given to new students explaining the benefits of AJJF registration. The BOP is actively working on how to distribute information on what kappo are acceptable for Sandan and Yondan exams. The AJJF will be making the AJJF Kata Manual available electronically. More information will be presented at the School Heads meeting at Convention.